If you are developing solutions on Amazon Cloud using AWS services, you might frequently require to get the list of your resources independent from AWS regions. For example, recently I wanted to list my EC2 instances. It is simple to display all EC2 instances in a specific region using EC2 Dashboard but this view provides EC2 instances list only for selected region. Here is the AWS EC2 Dashboard screen. Please note that I have selected Instances tab from left side menu. On AWS Management Console, you will see Resource Groups on top menu. In Resouce Groups menu, choose Tag Editor tool. Since Regions is a required input field, you should select all available regions in the first area. It does not take too long time since the input selection is build smartly on the screen. In Resource types filter area, choose EC2 Instances only. Leave all other input fields empty. 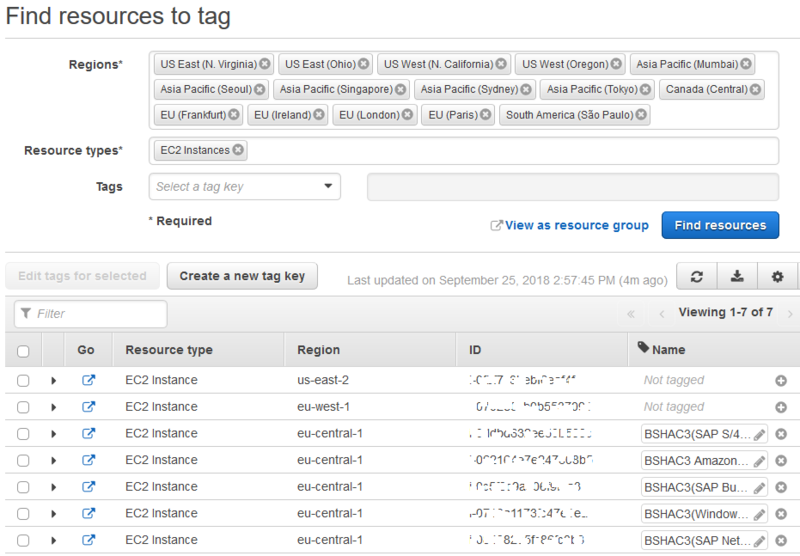 Press Find Resources button to list all EC2 instances created under your AWS account on all AWS Regions.